The Samsung Galaxy Note 2 is expected to sell over 20 million units, double what it's predecessor, the Galaxy Note, sold. Samsung's head of mobile JK Shin revealed the firm's ambitious sales target to reporters, expecting the Galaxy Note 2 to blow the original Note's 10 million sales out of the water. It's a bold statement from Samsung, especially as a lot of people remain unconvinced on the whole phone-tablet crossover, with questions raised over the usability of Note 2's huge 5.5-inch display. The Galaxy Note 2 certainly has an impressive spec sheet, sporting a 1.6GHz quad-core processor, 2GB of RAM, that massive Super AMOLED HD display, 8MP rear-facing camera with flash, NFC, Samsung's special S-Pen stylus - plus it'll run the latest flavour of Android, Jelly Bean. 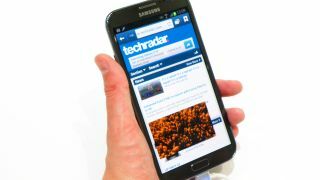 The Samsung Galaxy Note 2 release date is yet to be confirmed, but Unlocked Mobiles reckons we'll see the handset on October 15, although we're not holding out too much hope that it's got it right. You can find out what we think of the latest "phablet" in our hands on: Samsung Galaxy Note 2 review, or by checking out the video below.